A classic no-frills American diner is a constant in the USA’s ceaselessly shifting culinary frontier. The recipes rarely change, the offerings seldom vary, the lacklustre decor fades with time and no one thinks of replacing it. They all ask the same questions: ‘how do you like your eggs?’; ‘white, wheat, rye or pumpernickel?’; ‘do you need ketchup and hot sauce?’; ‘more coffee?’. There are pancakes with pads of butter and heaps of powder sugar and real maple syrup, there’s smokey, crispy, salty American bacon and bottomless cups of cheap coffee. It’s comforting, it’s ordinary, it’s reliable – a ho-hum collection of traits that somehow results in something amazing. 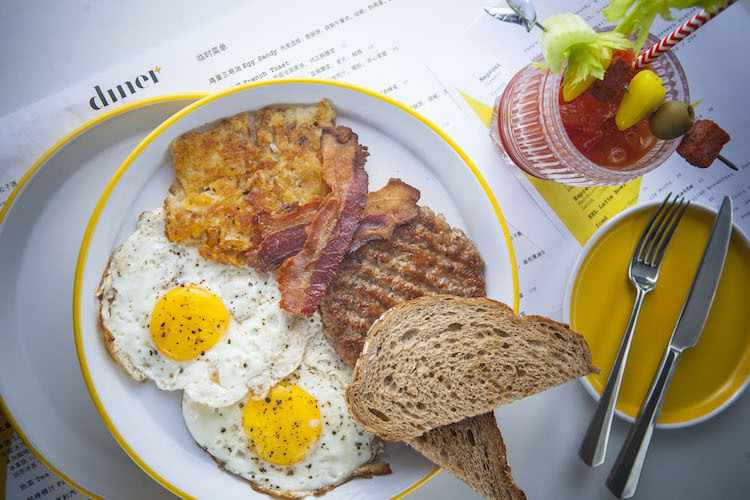 At Chef Austin Hu's retro-style eatery, Bloody Marys and espresso tonic stand in for cartons of juice and cheap cups of joe while French toast goes home with foie gras and brandy gravy and burgers are too cool to come with fries. 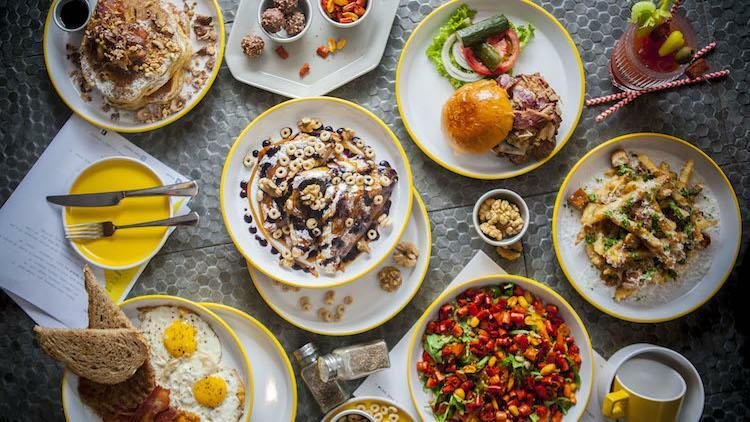 It may not be quite what you imagined, but it’s hard not to surrender yourself to the tantalising, calorie-stuffed eats that Hu is known for. When face to face with a plate akin to the Don Juan of food, no one can resist such a sultry caress. And why bother? Diner clearly states its position: it’s the ‘home of judgement-free indulgence’. It’s accordingly no surprise that the sweet stuff on the menu is where it’s at. 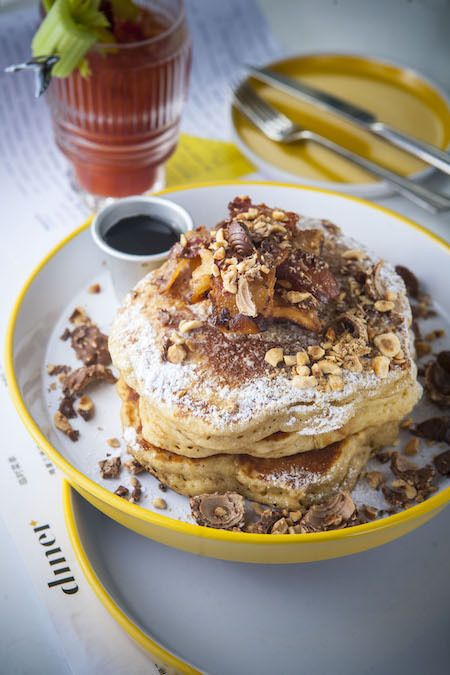 There are fluffy stacks of pancakes, some groaning under the weight of hazelnut butter, crispy bacon, fried bananas and chunks of Ferrero Rocher; others with tart lemon curd, berry compote, berry butter and sweet thyme honey. 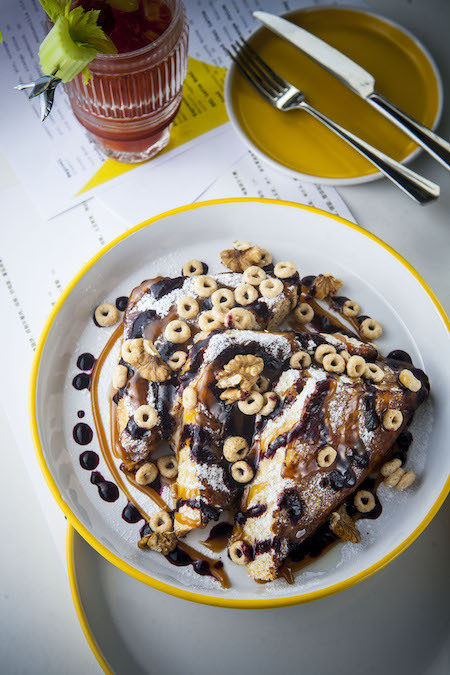 Go back to the kids' table with French toast drizzled in peanut butter and blueberry syrups and a handful of Cheerios, or fill up on a fry-up of eggs, bacon, sausage, hash browns and toast. If you like a more refined plate, there's the smoked salmon and cream cheese atop crispy rosti with citrus-mustard dressing. Venturing beyond brekkie is admittedly more pricey than you'd expect. 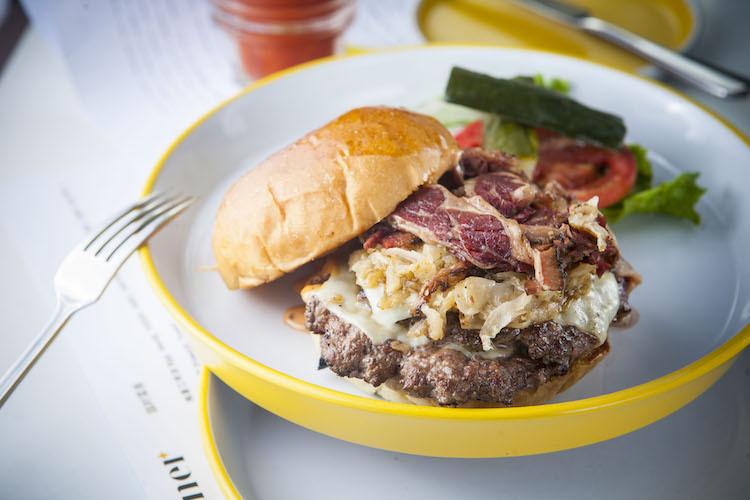 That said, the burgers are some of the best in the city: the old-school flattened patties are juicy and packing with flavour, while toppings like bacon and eggs or all the makings of a great Reuben really bring them to another level. 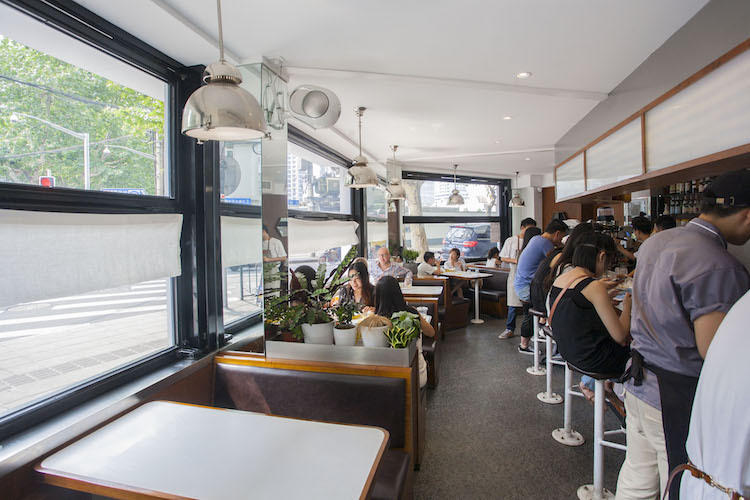 But is it ever okay for a 138RMB burger to come without fries? Likewise, cloud-like ricotta gnocchi with a fried egg and veggies pulls off being both satisfyingly rich and pleasantly light, but the small portion feels overpriced. And other 100RMB+ dishes don’t hit quite as hard: an attempt to elevate Southern-style chicken-fried steak by swapping thin cutlets for beef cheek results in thick, tough chunks of battered meat that an under-seasoned white sawmill gravy can't make up for. But the hits greatly outweigh the misses. 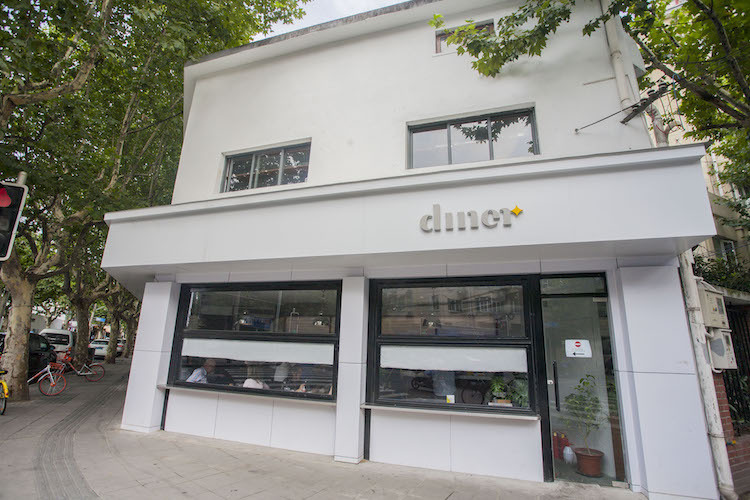 Diner is not an American diner – it’s a Shanghai-style American diner. It's the diner gone cosmopolitan, leaping forward from its humble blue collar roots to satiate this fast-paced city's merciless mouths. And while there's nothing quite like a classic, make room for something new because Diner deserves a place.